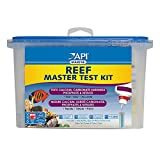 Top reef aquarium test kits. The key to a successful saltwater aquarium is keeping your water quality in tip-top shape. But how do you know your water quality is sufficient? You have to test it. 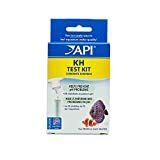 Here is a list of the Top reef aquarium test kits, purchased by Saltwater Aquarium Blog readers. These are the products other readers like you are using to make sure their water parameters are under control. 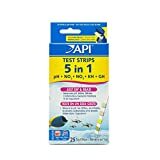 API 5 in 1 Test Strips. 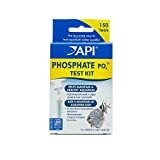 Perhaps the easiest way to test your water, these strips, from API will tell you the general hardness, carbonate, nitrate, nitrite and pH levels of your aquarium water all with a single dab in the water. So that you don’t leach chemicals from the strips into your aquarium water, it’s best to take a sample of water into a test tube first and test that water. Magnesium is the third most abundant ion in seawater. The recommended concentration in a reef aquarium is about 1300 parts per million (ppm). 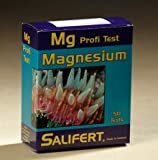 How are you going to know what the magnesium level is in your aquarium? You need this test kit if you do want to. In a healthy reef aquarium, the biological filter turns toxic waste into much less toxic nitrates. But excess nitrates can cause sensitive corals to clam up and can even fuel some problem algae growth. It appears that Saltwater Aquarium Blog readers trust this test kit to track their nitrates over time. Ammonia is a toxic chemical to most living things–and especially the delicate animals that we want to care for in our tanks. 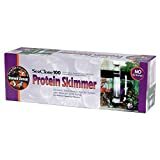 It is generally present when you first start a new saltwater aquarium–but detecting ammonia at almost any other time after you have cycled your tank is a sign of a problem. 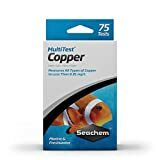 Interestingly enough, the #6 top reef aquarium test was a tie between Seachem’s and API’s copper test kits. The Saltwater Aquarium Blog community uses each of these tests in exactly the same amount. Testing for copper is absolutely critical if you plan to dose copper in your quarantine tank. Copper is lethal at high doses. It is ineffective in low doses. And it is unstable in saltwater. That’s a recipe for disaster or ineffectiveness if you don’t have a good test kit. Phosphates in a reef tank are one of the biggest causes of problem algae and even some problems with corals. 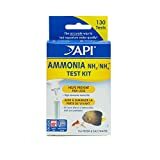 It’s no surprise that this test kit is right in the middle of the list of top reef tank test kits. Calcium is by far one of the most important elements in a reef tank. It is used by almost everything in your tank to build their bony or stony structures. 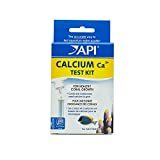 Typical reef aquarium water should have about 400 ppm of calcium. Carbonate hardness is another one of the most important water parameters to focus on for a reef tank–and by proxy–the carbonate hardness test is, therefore, one of the most important test kits to own. 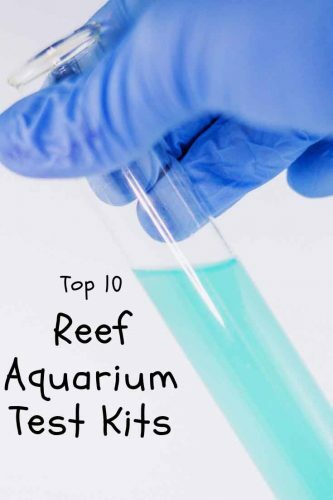 It’s no surprise that it is #3 on this list of the top reef aquarium test kits. It shows that you, the readers are doing a great job keeping on top of your water parameters. KH (Carbonate Hardness) stabilizes aquarium pH. Not quite a test kit all on its own, but this item fell just outside the top 10 list. If your tubes get crusty, break or if you lose them, you’re going to need more. 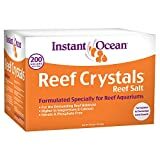 This looks like a good list of aquarium test kits. The basics are all covered and the order of popularity coincides with the relative importance. 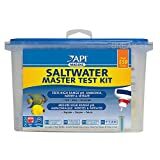 The core tests available in the larger Saltwater Master and Reef Master kits are great products to get started with. As you progress or branch out, carbonate hardness, phosphate, calcium, copper, and magnesium become important, depending on how your tank is progressing. I’m a bit surprised that only two brands, API and Salifert cracked the top 10 list. I wonder if that’s skewed because of Amazon’s product availability–not sure there. What’s missing from this list? Do you have any go-to test kits you think should be here? If so, please leave a comment below.